Trampers: for a variety of transport options to both ends of the Heaphy, Wangapeka and Karamea-Leslie go to the Track Transport page. Passenger and small freight service to Westport and connecting services. Heaphy and Wangapeka Track transport. Bike transfers, bus charters, rental vehicles, and on demand taxi service, (options for same day service to Nelson, Golden Bay, Motueka, Picton, Blenheim). With three helicopters and a wealth of knowledge we have something to suit both your needs and budget. Our helicopters are the fastest and most exciting way to access the vast wilderness of the Kahurangi National Park. Heaphy Track heli-shuttles a speciality. One day walks, scenic flights, hunting, fishing and more! Our new aeroplane service between Nelson and Karamea is the fastest way to access Kahurangi National Park, the Heaphy Track and the Wangapeka Track. We also take mountainbikers and their bikes. Call us to book or for more information. Karamea Aerodrome is a community owned and operated airfield serving Northern Buller. The terminal facilities offer two toilets and a comfortable lounge. Heaphy/Wangapeka Track transfers. 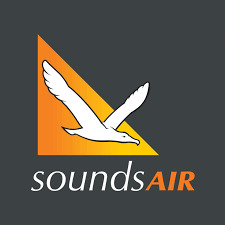 Sounds Air also offer scheduled flights across Cook Strait, numerous scenic flight options and nationwide charter. Aircraft available with 3-12 seats. Heaphy Track flights to suit connection Karamea to Brown Hut, Takaka or Nelson. No need to disassemble your Mountain Bike when biking the track. Complete air and ground Heaphy Track transport between Wellington, Nelson, Takaka and Karamea for walkers and bikers. Scheduled and on demand. Year round.